Deal in the Avengers! 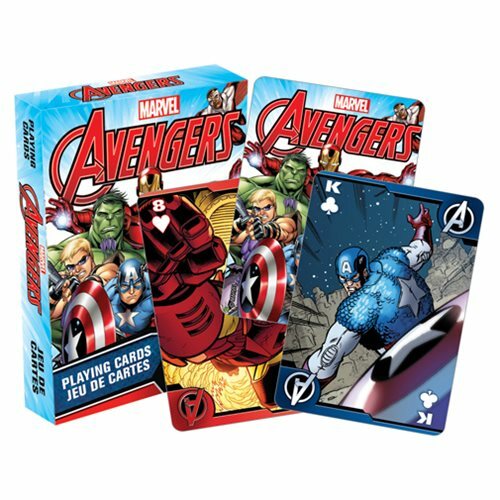 These Avengers Comics Playing Cards features 52 different vivid images of this fan-favorite team of superheroes. With a linen-type finish, each card measures 3 1/2-inches tall x 2 1/2-inches wide. Ages 13 and up.